The spring action Dragunov SVD sniper rifle reproduction is made of metal and high quality polymer material which visually recreates the look of the Russian classic. 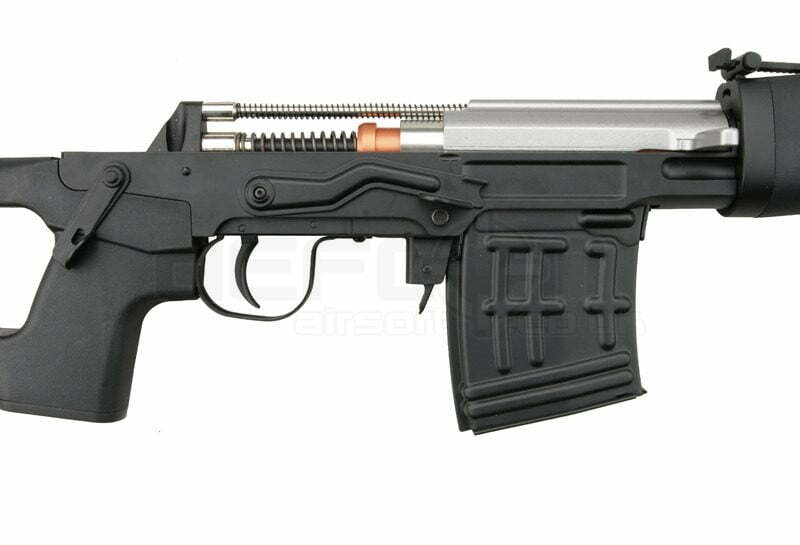 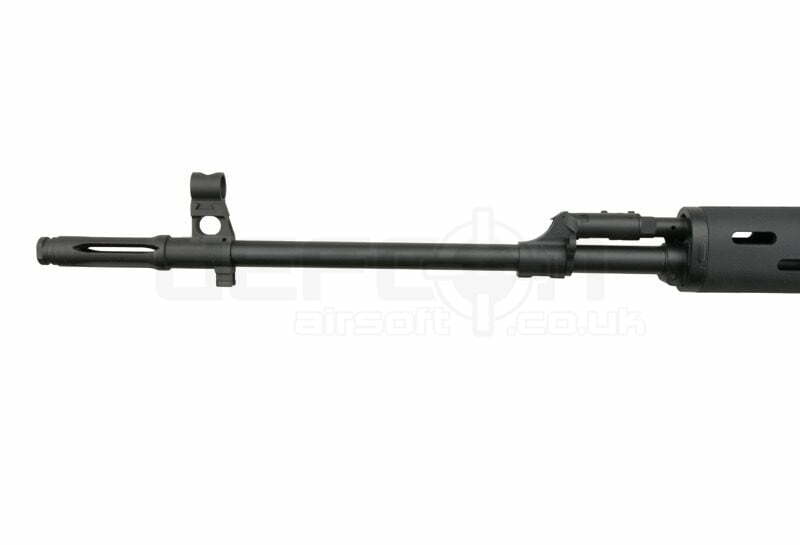 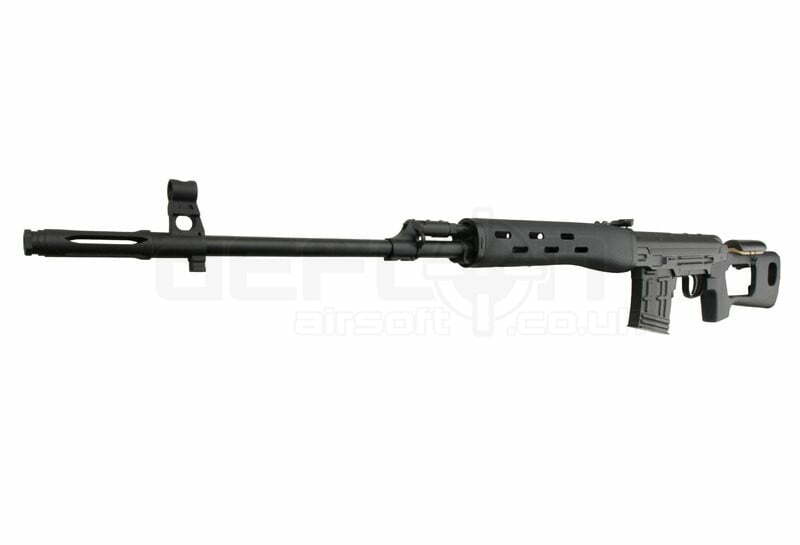 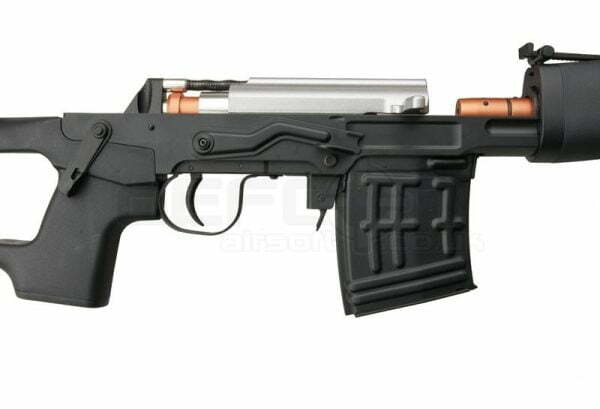 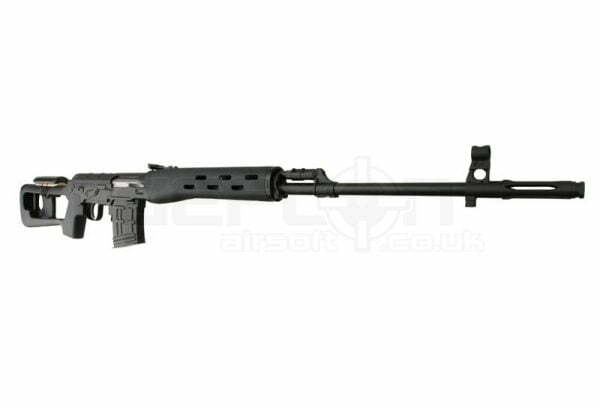 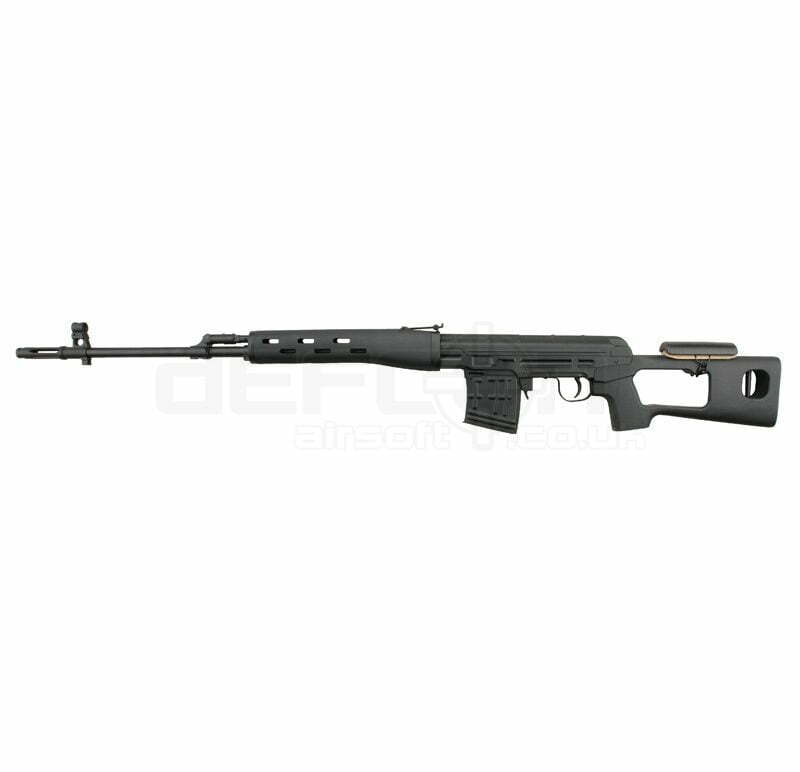 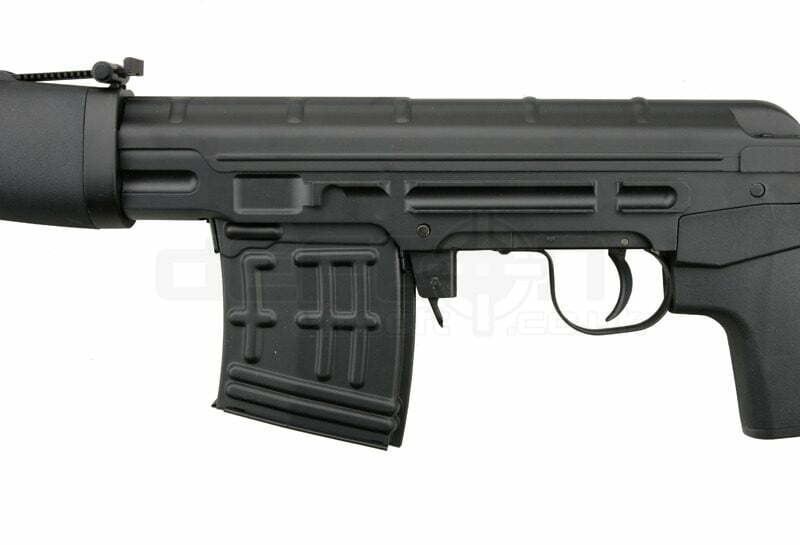 The weapons body and the barrel assembly and the iron sights are made of metal, while the stock and the front grip are made of polymer. 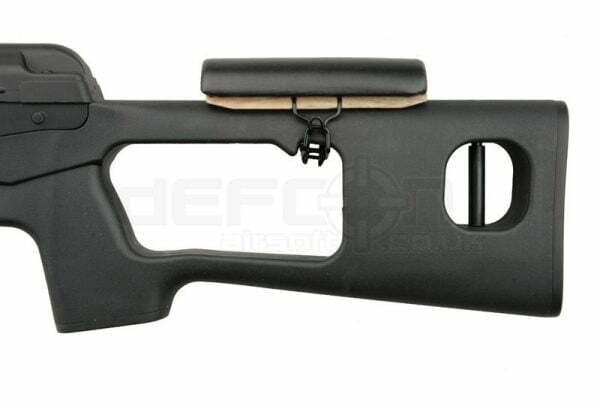 The stock is fitted with a cheek-pad, the so called “baka” which helps with getting more control for a precise shot and it enhances comfort. 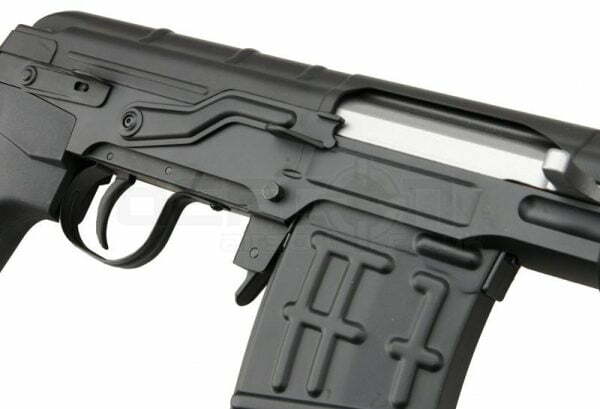 The polymer body has a rough surface texture enabling a safe grip regardless of high humidity or dirt on their surface area. 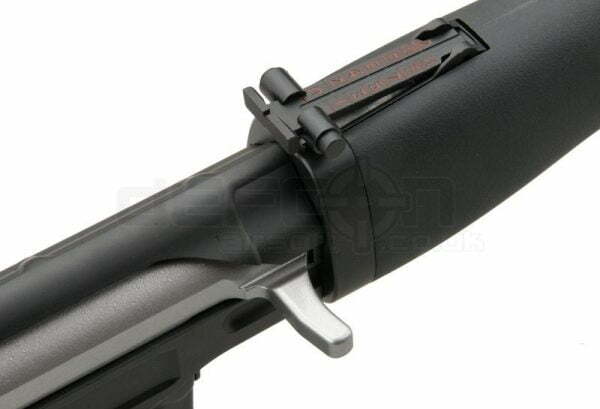 The reproduction is equipped with a side mount, the so-called “swallow-tail”, allowing to connect an optical scope, for example, the dedicated PSO-1 or POSP type scopes. 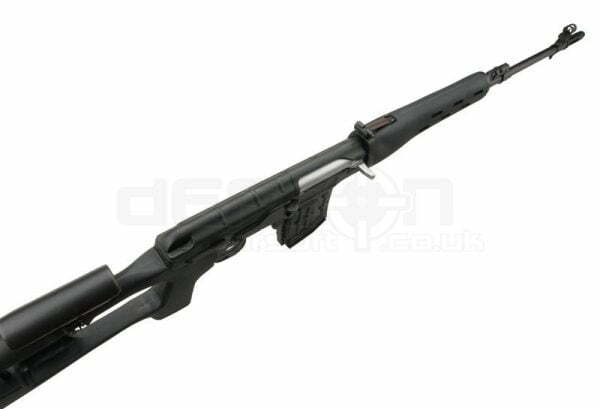 The high quality of build and components is not just on the outer elements – the inner system is made with high precision which results in the high operating specification of the gun. 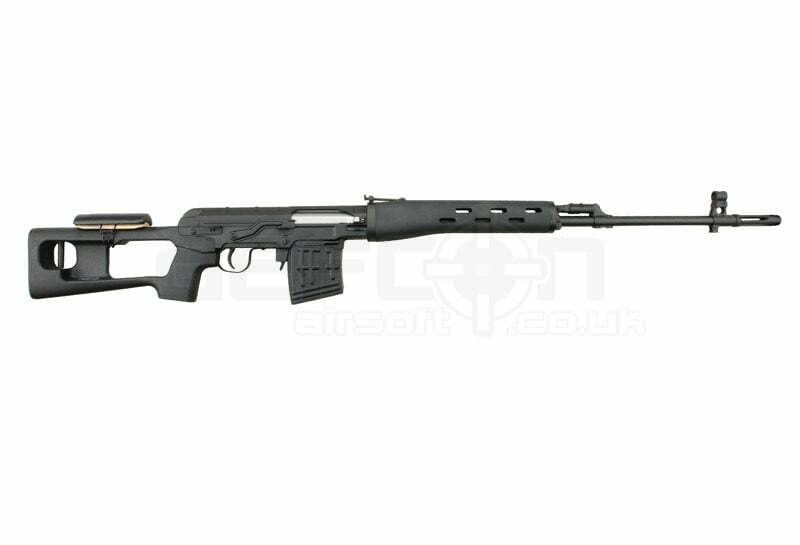 The mix of high class products with the precision of make and the rifles ergonomics and the price makes it sure that it will suit to the taste of every sniper rifle fan.